In one of his later novels, the master storyteller spins a tale of two children switched at infancy. A slave takes on the identity of master and heir while the rightful heir is condemned to live the life of a slave. Twain uses this vehicle to explore themes of nature vs. nurture, racial bigotry and moral relativism. 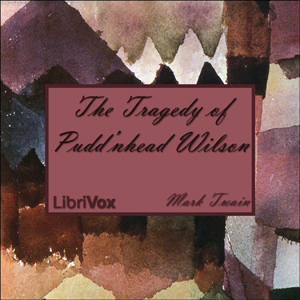 The case of mistaken identity is a theme that Twain explored also in THE PRINCE AND THE PAUPER; in THE TRAGEDY OF PUDD'NHEAD WILSON he turns the theme into a well-crafted detective story. It is unfortunate that this is one of Twain's lesser known works as it is one of his most enjoyable reads.